Buy & Build, Inc. was established with one thing in mind: Offer the highest quality products from around the world direct to the consumer at Discounted Wholesale prices.With tremendous buying power, Buy & Build passes big savings on to you. All of our products are purchased factory-direct. No Middleman, no distributor.If you’re renovating, building or simply upgrading a room, Buy & Build, Inc. is the way to go.Kitchen:-Kitchen Cabinets-Kitchen Sinks-Kitchen Faucets-Cabinet Hardware-Counter TopsBathroom:-Vanity Cabinets-Vanity Tops-Bathroom Faucets-Bathroom Sinks-Toilets-AccessoriesFlooring:-Wood-Ceramic-Carpet-Granite-Laminate-Marble-TravertineDoors:-Interior-Exterior-HardwareSave 30-60% Everyday on Kitchen, Bath, Floor & More! My wife and I loved Buy & Build, we saved over $2000 on just our kitchen cabinets! We priced kitchens at 4 different stores, we really did our homework and Buy & Build had by far the best prices in town. We chose the Novello Shaker cabinets and absolutely love them. We paid under $2000 for our entire kitchen, and had the cabinets delivered! 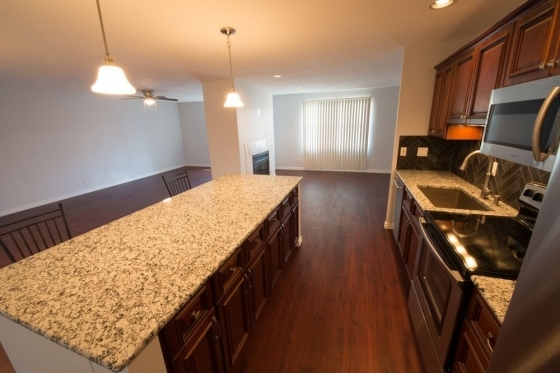 We also used them for our granite countertops and saved literally thousands of dollars on that as well! You need to check these guys out, great staff and the best prices we could find anywhere in Denver or on the internet! We will be back to do our bathrooms in a few months!! !